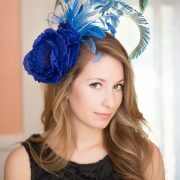 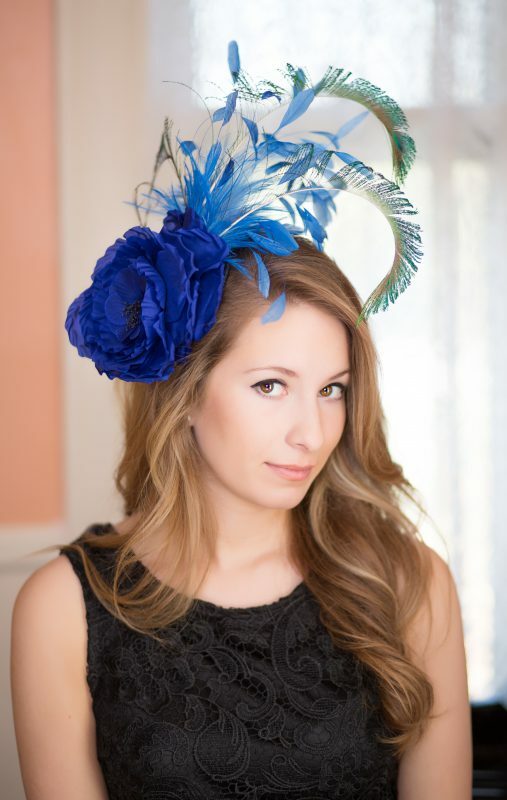 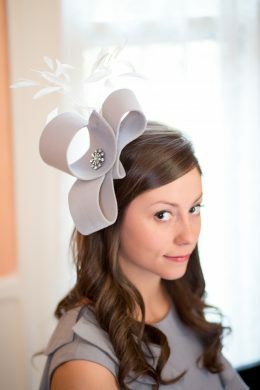 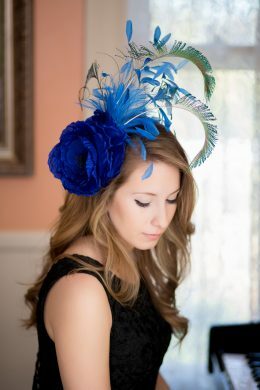 Celine is a chic and elegant fascinator. 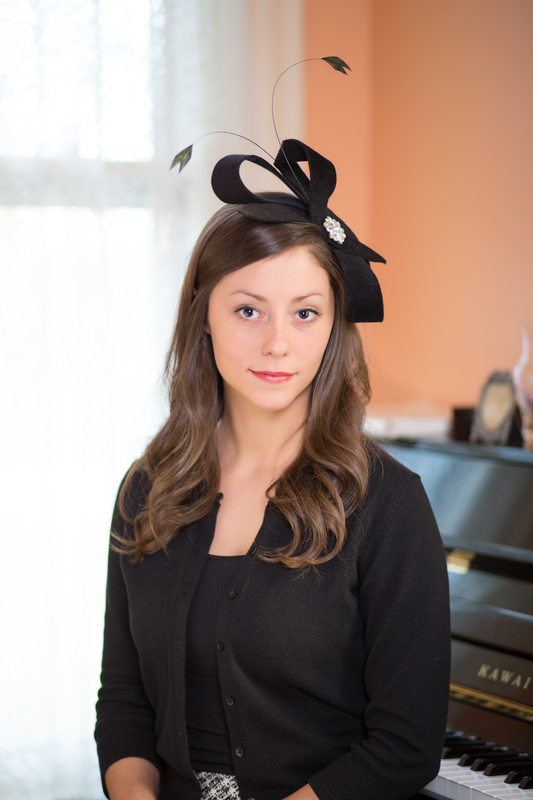 Polly hand sculpted black felt material into a bow and highlighted it with two black coque feathers and a rhinestone button. 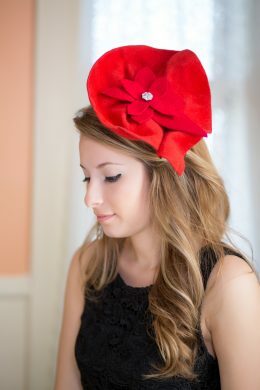 Celine is worn on a comb or headband. 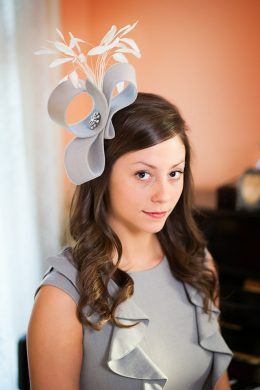 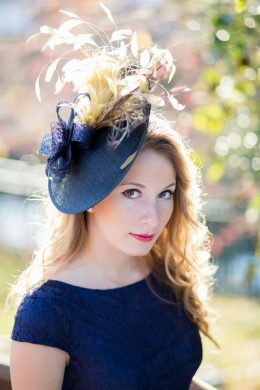 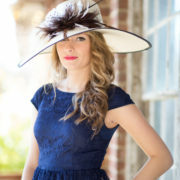 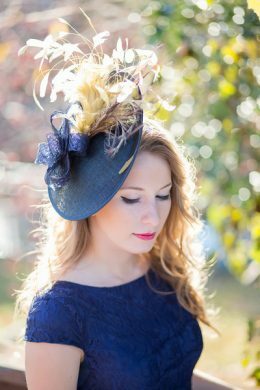 Perfect for a gala evening, tea or the races. 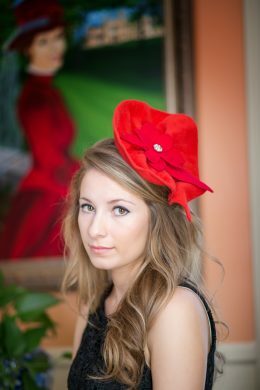 Celine comes in other colors as well.